The City of Philadelphia would like to sign a PPA (power purchase agreement) for 70 MW of solar in central PA. The electricity from this solar farm would power about 22% of our current municipal electricity needs, and matches the current price paid for electricity from fossil fuels. It will be a 20 year commitment. The City of Philadelphia won’t own or maintain the system. This will be the largest solar project in our state, with many other municipalities and agencies seeing how this pans out, including SEPTA and Temple University, so we need to make a big deal about this. The contract is to be extensible, meaning it could be added onto for additional capacity. Since last October, the Office of Sustainability has reviewed many bids. The selected developer is Community Energy, based locally in Radnor, Montgomery County, experienced at building solar farms, even pollinator-friendly solar farms, across the country. Some people have questioned taking over agricultural land for energy needs. Having spoken with a landscape architecture professor, we concur that it’s best to prioritize using rooftops and brownfields for solar arrays. 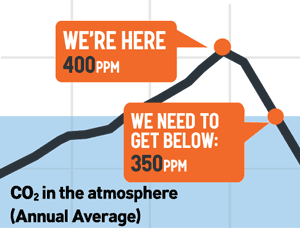 But, as the recent IPCC report reminds us, we need to reduce emissions FAST. And are quickly learning that solar farms can co-exist with other agricultural uses, such as sheep grazing to replace mowing, and better crops under the panels. We therefore wholeheartedly support this project, and others like this, for the immediate future. Nov 1 2018, The Inquirer, Large new solar farm would be built to supply electricity for Philly-owned buildings, which tells us price is $0.0445 per kWh. This hearing is organized by Philadelphia City Council’s Committee on Transportation & Public Utilities, which consists of these additional City Council members: Squilla, Oh, Taubenberger, Domb, Parker, Jones. Even if you can’t make it to the hearing, please let each of them know that we support this! Let’s support this, the largest solar project in our state, commissioned by the City of Philadelphia! Posted on November 12, 2018 November 14, 2018 by meenalPosted in clean energyTagged Community Energy, Office of Sustainability. Previous Previous post: The Passyunk Energy Center?! Just Say No! Many people have suggested that we fill our brownfields, rooftops and parking spaces with solar before taking over farmland. Currently, no one in Pennsylvania is moving to build more solar, wind or other renewable sources on a large scale because of the influence of the gas industry in suppressing the development of renewable energy and the lack of political leadership to expand solar and wind in a huge way across the state. Electricity rates, esp for larger commercial accounts like the City, have been exceptionally low (thanks to cheap gas from fracking), making it hard for renewables to compete in PA. For this project, the price for solar matches current price for fossil-fuel based (most likely gas-powered) electricity, about 4.5c per kWh. So this is a great effort and one we must support. Please join us on Wednesday, and as we support this, we can push for more renewables, closer to home!